Robert Hahn is director of economics and a professor at the Smith School of Enterprise and Environment at the University of Oxford. He also is an associate at Nuffield College, a senior policy scholar at the Georgetown Center for Business and Public Policy, and a Robert Schuman Fellow at the European University Institute. 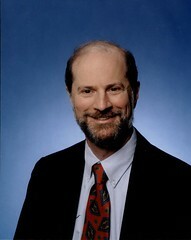 From 1999 to 2008, Hahn served as the director of the AEI-Brookings Joint Center, a leader in policy research in law and economics, regulation, and antitrust. Previously, he worked for the U.S. President's Council of Economic Advisers, where he helped design the market-based cap-and-trade system for limiting smokestack sulfur emissions at minimum cost to industry. He also has served on the faculties of Harvard University and Carnegie Mellon University. Hahn is a frequent contributor to leading scholarly journals including the American Economic Review, Science, and the Yale Law Journal, as well as to general-interest periodicals including the New York Times and Forbes.com. He also is the co-founder of Regulation2point0.org. Hahn has served as a consultant to government and business on a variety of issues ranging from encouraging private investment in Mexico City, to designing more cost-effective alternative fuels policy in the U.S., to rethinking the way we regulate the Internet. In addition, he is co-founder of the Community Preparatory School, an inner-city middle school in Providence, Rhode Island, that provides opportunities for disadvantaged youth to achieve their full potential.